Want to start a Bed & Breakfast? Our guide gives you all the info you need to get your business up and running. Is Your House Right For the Job? The Bed and Breakfast — a British institution and a career route many homeowners have dreamt about. 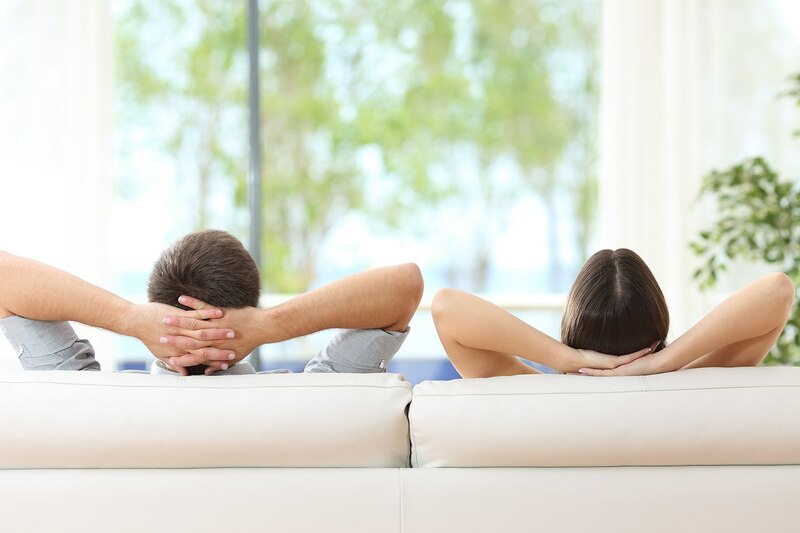 Making your home your business, providing customer service in a personal way and enjoying the satisfaction of delivering a memorable experience – what’s not to love? If you feel it’s time to open your home to paying guests, here’s our guide to getting started. As with all business decisions, you should consult with legal and financial experts to ensure you meet all the requirements of your new venture. The Bed & Breakfast (B&B for short) in the traditional sense is precisely what it says on the tin — accommodation offering a bed for the night, with the next morning’s breakfast included in the price. 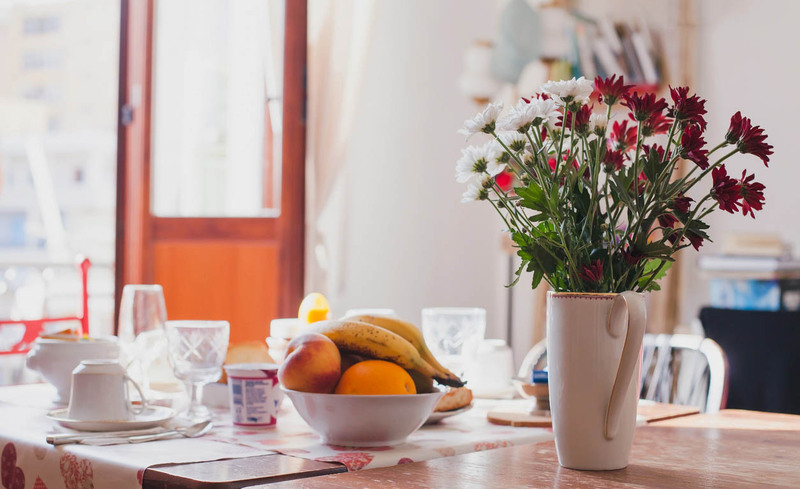 Nowadays, the term Bed & Breakfast simply refers to the type of experience you can expect — guests deal directly with the business owners in a property that is likely (though not necessarily) their home. Some have now opted for the term ‘boutique hotel’ or ‘guest house’ instead. And with Airbnb, you can now get anything from a sofa bed to a whole house without the requirement of a breakfast. Unlike a hotel, where guests call down to the front desk with special requests or email their complaints to the customer services department, a B&B is run by its owners. Guests might see extra staff helping to serve breakfast and strip beds, but it will most probably be the owner who cooks meals, tops up the teabags in your room and make sure towels are freshly washed. It’s important to understand that the success of a B&B comes with caveats. One of the most significant is that guests expect a certain level of service in return for their support of a local small business. 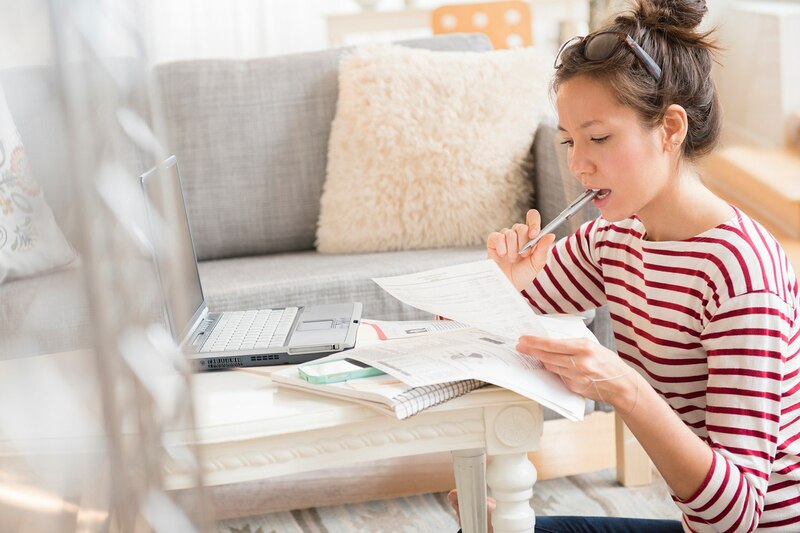 The other is that you must be willing to sacrifice your time — B&B owners manage high levels of correspondence across different channels and they work long hours with little time to relax in their own home. At any time of day and wherever they are, faultless service is expected. When it comes to B&Bs, a good review makes all the difference to the lasting success of the business. The Bed & Breakfast’s owner-to-guest relationship offers a special something that hotels can’t — a more welcoming experience. In an age where hotel rooms can be so easily booked online, it’s this direct connection to the business’ roots that have kept the B&B industry alive and well. And with a value of £2 billion, it looks like it’s is here to stay. Even if the facilities and décor of a B&B are similar to a hotel (some have gyms, pools and bars), the number of total guests is likely to be much smaller. Most B&B’s have fewer than a dozen guest rooms in fact. And many thoughtful gestures that would come with a premium price tag at hotels, such as welcome treats, owner-hosted meals and happy hours, are a fundamental part of Bed & Breakfast customer service. One of the biggest pulls of the B&B is its affordability, with the per-night cost considerably less than many hotels. This creates an opening for untapped audiences that can be very lucrative if your location is in high demand. Another appeal is that most B&B’s and guest houses (though not Airbnbs) still operate the tradition of offering walk-ins, welcoming last-minute customers with their ‘Vacancies’ sign. It’s a customer-first approach that few hotels have the flexibility for. If you’re hoping to set up your B&B in a rented property, seek approval from your landlord first. Subletting without permission from the property owner is against the law, spelling a fast end to your business venture. Location can affect the feasibility of a profitable business and is worth considering. Though you might want to share your home’s warm atmosphere with the world, if it’s miles from amenities, attractions and public transport links, you may lose business to better connected guest houses. If you choose to set up your Bed & Breakfast in a new property, the biggest outlay will of course be acquiring the premises. However, if you plan to convert your current home this will also incur costs. Existing expenditures such as your mortgage should be factored in as well. Having calculated the total of these outgoings, you’re in a position to think about what you’ll charge for your services and how you’ll run the business. It’s advisable to work with a financial advisor to ensure these workings out are accurate and take the unexpected into account. A solid overview of your company, including location, size and precisely where company ownership lies. If you’ve settled on a mission statement, include that too. Explain your company goals and which ones you’ve already met.You can also mention any existing revenue, although you’ll explain this in more detail further into the business plan. Detail all the services and amenities on offer at your B&B. How many rooms do you have and which will be used for your own occupation? What’s included in the price, and what extras can guests purchase? Will you give special rates to guests who stay in low season? The best way to approach this is via a SWOT analysis. By analysing your business’ strengths, weaknesses, opportunities and threats, you’ll be able to better identify a sustainable niche in your market. Your strategy should then be built around this. Analyse and explain the competitive landscape your business occupies locally and nationally. Cover the sorts of accommodation you’ll be going head to head with, including how many hotels, B&B’s and alternatives there are. Explain how you intend to compete with these businesses. Forecast the sort of booking numbers you can expect at different times in the year, including surges during peak season. You should also investigate where most of your business will come from, such as from peak season tourism or business guests looking for affordable accommodation close to the city. This is also an opportunity to explain who your core target market are and what they’re looking for in a guest house. Explain your pricing and approach to sales. How will you charge for bookings during different seasons? How will you price different services, such as accommodation, events and extras? Your sales structure should reflect what you know of your target market and seasonality, and how you will adapt your financial approach throughout the year. As a small business, your ability to ride the quiet times as well as the busy ones is key to lasting longevity. This should detail how you intend to promote your business. With your market, brand and unique selling points (USPs) in mind, plan the messages that will have maximum impact with your audience. Whatever offers, discounts, unusual features and thoughtful perks you have, make sure people know about them. Combine all these messages with an inspiring description of your company, then use the most appropriate channels to reach new and existing customers. How are you going to effectively manage your employees? In this section, include details of key staff and their responsibilities. Explain how you intend to keep up with seasonal demand, how many new staff you’ll need, how you’ll cover the cost of new personnel and how you’ll train them. Include details of the facilities, digital payments systems, production processes and operations you’ll use to run your business smoothly and successfully. Operations underpin the successful setup of a busy B&B, so leave no stone unturned. Your business plan should cover the first two to five years of operations, and forecasts should be backed up with solid research. This part of your business plan can be a lot of work, so it’s a good idea to let a financial expert assist. Will you encourage self check-ins or a personal welcome? Will you serve meals and what will they be? How will the rooms be decorated? What check-in treats (if any) will you include to make the experience unique? The theme of your B&B — are you going rustic chic or lavish luxury? Whether you’ll offer a communal approach or exclusive privacy. What rules you’ll run your business by, such as not allowing large groups of students? Your business goals and the way you want your B&B to be perceived by guests will affect the way you operate on a day-to-day basis. By familiarising yourself with a range of competitors, you’ll get a better understanding of what is working and what gaps you can fill in the market. A guest’s first impression of you can last their entire stay. Even before you open the front door to them, it’s important that your interactions via email or over the phone are warm and welcoming. Show them your best side and communicate that your home is their home too. Guests are more at ease when they know their way around. They’re also less likely to go anywhere they shouldn’t. A friendly tour that shows them which facilities are available for use and how they can make the most of them will leave a lasting impression. If your guests are unfamiliar with the area, you can act as a host for them both outside your home as well as in it. Try and find out what their interests are so that you can make educated recommendations that will enhance their trip. You could ask local pubs and restaurants if they’d like to offer your guests special discounts to encourage them through the door. Even if you’ve set up your B&B to appeal to certain tastes and needs, your ability to be flexible can help you drive extra bookings and better reviews. Where possible, adapt your style so that even the most unlikely guest can enjoy their time in your home. On a very basic level, this includes stocking food and drink items that you wouldn’t normally serve. ‘Just in case’ is a good philosophy. The unique face-to-face experience of the Bed & Breakfast is what makes so many guests choose it over a hotel. Where some guests may need nothing more than a tour of the property, others may have regular, pressing needs. From the first email to check out morning, your ability to be friendly, enthusiastic and available will enhance customers’ perception of you and your business. Start accepting card payments today. Many insurance providers offer specific cover for guest houses and B&B’s. You may want to compare these insurance options to ensure you get the most suitable protection. Once upon a time, guests settled their bill in-person on arrival or departure. Nowadays, they have more options, with online bookings become increasingly popular. To keep up with your customers’ expectations, you need an omnichannel approach that allows them to pay however and whenever they like. Your guests will often want to secure their room by booking and paying up front. Whilst they’re not present with you, this requires a virtual terminal. A virtual terminal acts as a remote point-of-sale so that you can manually key in card details through your smartphone or computer rather than using a card reader. This is the perfect tool for over-the-phone payments. If you want to offer a flexible approach where guests pay when they check-in or out provide a card reader that accepts chip and PIN, contactless and mobile payments. You could use a simple setup where the reader simply connects with your smartphone or computer, but if you’d prefer a fully-integrated point-of-sale (POS), that’s possible too. Gone are the days of clunky POS systems. You can now use your iPad, attach it to a stand and take payments from your check-in desk. To make a good first or last impression, choose a setup that looks sleek when it’s set up on the countertop. Some guests, especially those travelling for business, will want to pay via invoice. With enough work to do around the house, it’s advisable to choose an invoicing system that enables you to send invoices digitally and track your payments online. This frees you up from the admin of managing it all manually. If you’ve spent months building a brand identity for your Bed & Breakfast, the last thing you want are drab invoices that undo your hard work. To keep your business looking fresh, choose an invoicing system that lets you customise the logo and design. It’s worthwhile listing your property on sites such as Hotel.com, Booking.com or Agoda.com. Although they require a listing fee, they’re also one of the most effective ways to get location-specific exposure from people who are poised and ready to book. Airbnb has opened up the market so that even if you have just one room to spare, you can make money from it. The site has a rapidly growing user base totalling 935,000 bookings in London alone early last year. Due to its huge variety of guests, listings offer anything from a modest clean bed to a full family size house. TripAdvisor is a force to be reckoned with when it comes to proving the standard and credibility of your B&B business. It provides an incredible opportunity to build a collection of positive customer reviews that drive future interest. To maintain a consistently positive presence on the site, reply to guest questions and publicly rectify problems and negative reviews. A proactive response allows you to resolve any unfair criticism and shows an admirable level of customer service. Although social media requires upkeep, it can influence potential guests who are scoping out your B&B business. Instagram is especially good at showing off the most beautiful aspects of your home and services. By inviting guests to share their own quality user-generated content, you can reduce the workload and build trust at the same time. Although this may sound like a lot of work, building your own website needn’t be complex or expensive and there can be huge payoffs. Tools like Wix and Weebly are simple to use and can be plugged into digital payment systems, making it easy to take booking payments online, over the phone or in-person. With your own website, it’s possible to create a strong brand identity and drive future bookings by offering discounts to return customers (especially given that you’ll be skipping hotel booking site fees). Don’t forget to add a pop up asking website visitors to confirm their age. This will help you reduce the number of under 18’s trying to book online. One of the most powerful tools at your disposal when promoting your business is customer feedback. Not only does it help you improve your services for future guests, but you can feature customer testimonials (with their approval) on your website and other marketing collateral. Feedback software that integrates with your POS system enables you to collect and respond to your customers’ thoughts, as well as tracking the performance of your business over time. Should I start a Bed and Breakfast? When it comes to home-based businesses, there’s nothing quite as special as the Bed & Breakfast. With people demanding more choice when they book holiday accommodation, the humble B&B is rising to the occasion. If hosting is your passion, setting up your very own B&B could be a rewarding and well-paid profession. It’s also a great way to meet new people if you prefer the sociable life. It can be a demanding job too. Along with all the pros, running a Bed & Breakfast requires time, physical effort, constant affability and financial acumen. The latter is perhaps the most important aspect to keep in check. With high seasons, low seasons and a wide scope of customers with different payment preferences, it pays to ensure that your financial plan and payment technology are up to scratch. Plan for every scenario and invest in tools that empower you to run your business with ease. *This article is intended to offer helpful guidance and should not be interpreted as legal advice. You should consult a legal expert regarding your obligations when setting up your B&B.